Toyota sold 3,469 units of the made-in-Canada Corolla, up 36.4 per cent when compared to 2016. 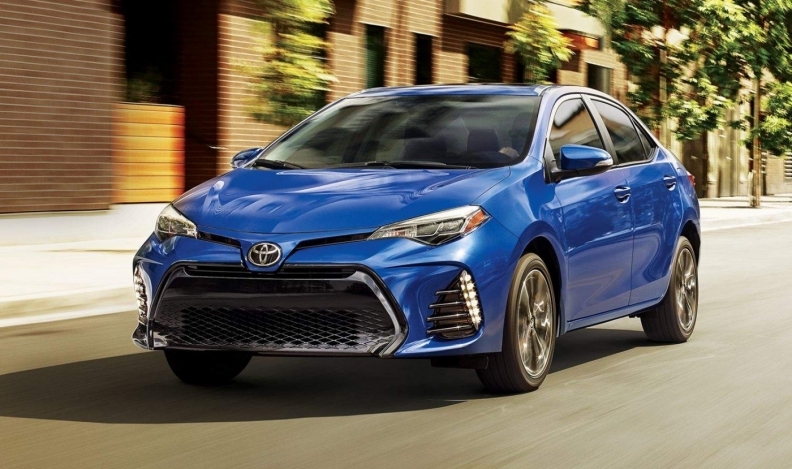 The Toyota Corolla set a new February sales record in Canada, bucking a nationwide trend of consumers fleeing from cars to smaller utility vehicles and pickup trucks. The automaker sold 3,469 units of the made-in-Canada car, up 36.4 per cent when compared to 2016. Total Toyota Canada Inc. sales of all brands combined reached 13,405 vehicles in February but that total was down 6.2 per cent over last year. The automaker’s luxury brand, Lexus, also set a new February record – good for an eighth consecutive monthly record – with sales of 1,420 units, up 22.9 per cent from 2016. Sales of the Lexus RX led the way, setting another new monthly record with 570 units sold, up 43.6 per cent.